My heart overflows with joy whenever friends and even new visitors would comment on my daughter’s drawings. 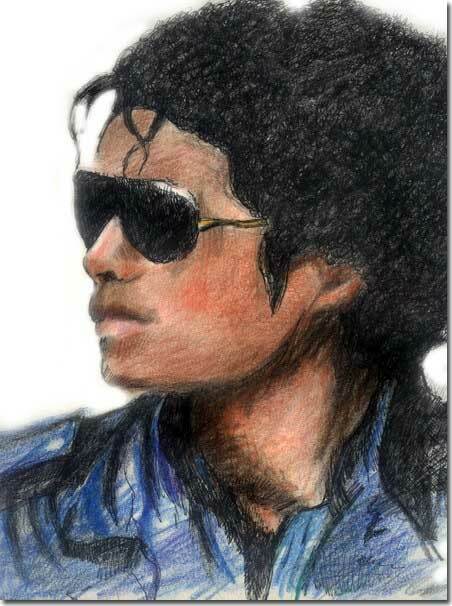 Those who have seen her sketches would wonder why she loves to draw Michael Jackson. Well, it’s no secret that MJ is one of my daughter’s favorite artists. Her interest with MJ grew when the latter died in 2009. My daughter reads everything about MJ, from the trivial to the big event about his personal and professional life as entertainer. Being my daughter’s number one fan and critic, I tell her to also try other subject matter to make herself flexible. I think some of her teachers are already giving her drawing assignments. I wouldn’t be surprised if one of her subject teachers would request her to draw parts of thrust bearings one of these days. This entry was posted in Artwork and tagged Michael Jackson Pepsi Commercial, Michael Jackson sketches on January 8, 2011 by Yami. Hi! Just visited your blog. Is this the work of your daughter? She’s amazing. How old is she? I wish my daughter have the talent also in drawing. This is a very great work of art. I really appreciate your daughter’s talent. You have a very talented girl right there. I wonder how she is. I am with you on suggesting other subjects for her so she can move around more and progress on other interests which she might have.